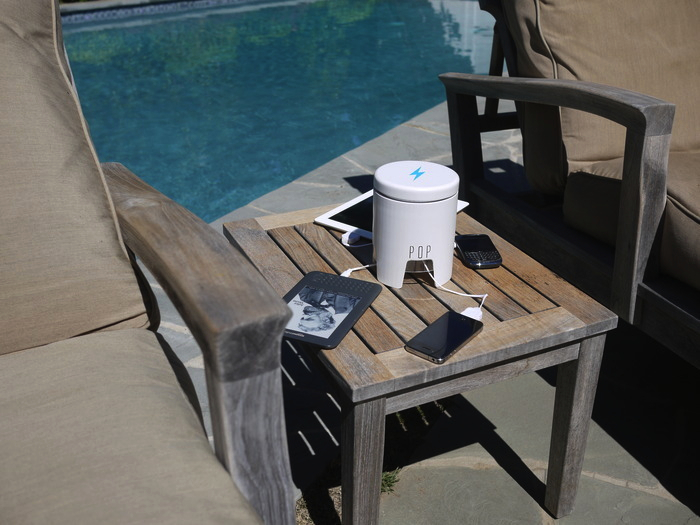 POP, a cool high-capacity gadget charger, got plenty of attention for its Kickstarter campaign, which raised $139,000. But the campaign creators are now refunding backers all their money after Apple(s aapl) decided not to approve the charger, which required Apple’s blessing because it was integrating its new Lightning chargers. The news is interesting for a couple of reasons. First, it’s one of the biggest refunds by a Kickstarter campaign and may be instructive for other project creators who have to go that route. And it also highlights the control that Apple continues to exert over its ecosystem. Jamie Siminoff, whose Edison Junior design lab created POP, said in an email to backers that Apple decided not to approve the charger because it doesn’t want to have the Lightning charger work alongside other chargers, including its own old 30-pin connector. Siminoff said that defeats the purpose of POP, which was to recharge all of a user’s devices, regardless of the charging interface: 30-pin, USB, or Lightning. So Siminoff, who also just launched a new Kickstarter for hardware projects called Christie Street, decided that instead of holding out hope for a reversal or delaying POP’s December delivery date, he would refund every supporter their full pledge. That means Siminoff will eat $11,000 in processing fees to Amazon and Kickstarter’s 5 percent cut. Siminoff realized, however, that refunding backers their money isn’t exactly cut and dried on Kickstarter. Amazon(s amzn), Kickstarter’s payment processor, doesn’t have a mechanism for refunding money after 60 days. So Siminoff has turned to his Christie Street platform to get people their money. He’s putting the funds into Christie Street accounts, which backers can claim via PayPal (s ebay) or through a check. The payments will go out in January. The move is a self-serving, Siminoff admitted to me, giving Christie Street some attention as it competes with Kickstarter. But he said the move was the right one because Christie Street is designed to provide refunds while Kickstarter doesn’t have a formal mechanism for that. And he said the process is faster than if he delivered the money manually. Siminoff’s move is interesting because it gets at the question of what creators should do when their project can’t deliver. Not everyone can give back 100 percent of the pledges because they might have used up some of the money before realizing they have to give up. But there should be more of a framework to help creators return unused money if they can’t or choose not to complete their project. Currently, Kickstarter requires creators who successfully raised money but can’t deliver to “fulfill all rewards or refund any backer whose reward you do not or cannot fulfill.” Kickstarter’s policy doesn’t lay out how to execute a refund beyond pointing to Amazon for U.S. projects or Kickstarter for U.K. projects though its support team does provide help. And it doesn’t say how much a backer can expect to get back if anything. In most cases, projects do eventually deliver. A UPenn study found that only 3.6 percent of projects fell short of completion. But as the number of failed projects grows with the platform, handling refunds will become a bigger issue. Wow, it is disappointing. Apple can destroy our feelings about them self. Sustainability is not what they care about..
Good concept, hideous design… which would be my first guess regarding the Apple rejection. I backed a project that had a delayed delivery date, and I worked with the merchant to get a refund. They contact Amazon, and I had a full refund in a few days. Sounds more like Siminoff wanted to make a splash than work with Kickstarter and Amazon to get the refunds processed. 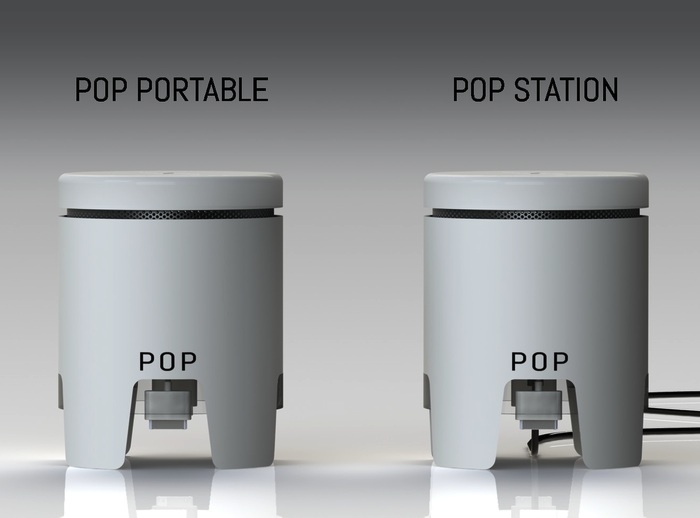 That POP Portable isn’t very mobile anyway. It’s a cylinder. That is not travel friendly at all. They should go back to the drawing board. As an Apple MFi licensee, I’m a little shocked at the rejection reason given here. Is it really true that they rejected the product because they would not allow multiple connectors, or was there some other issue? If the former, then how far did he get in the process? Typically before even starting a project licensees should be getting project plan approval, which is the stage at which Apple usually flags concerns like this – later rejections are more typically the result of not meeting performance specifications. Does that mean he ran the Kickstarter campaign without even an approved product plan from Apple? If so, that’s a pretty big mistake. This whole thing seems a bit odd to me. I’m not saying there’s any nefarious activity here, but I find it hard to believe that Apple would be so fickle. My understanding is that they ran the KS campaign before the Lightning announcement was made and then made changes to try and incorporate the new connector. They applied to Apple and were not approved. The campaign was over for WEEKS before the announcement was made. What they should have done was ship the POP as originally designed and include a couple MicroUSB-to-Lightning adapters (which are cheap at wholesale) for a nominal fee. You may or may not be right but I find it hard to believe that anyone find it hard to beleive that Apple would be so fickle! They are obnoxiously fickle and this would be far from the first hopeful enterprise wrecked by Apple’s fickleness. Apple has not an ounce of benevolance in defference to entreprenurial dreams which I find amazing in light of it’s history. You think they would have a heart for start ups. If it is how the project leader claims it is (which I can easily imagine) how petty would it be! The wealthiest entity in the history of humanity and planet Earth shutting down dreams because they don’t want their precious connector seen with lesser plugs! Even if Matt’s suspicions are correct Apple HAS DONE equivalent things, many times over. Look at their iOS App Store alone where case after case of arbitrary rejections for nebulous reasons offer more shreded dreams than are needed to make my point…and often with Apps the developers have gone through the entire development process, pouring their money, resources, time, hopes and dreams into projects only to be shut down at the whim of Apple. Some call it fickle others call it a walled-garden. As noted in the article, for better or worse Apple exerts enormous control over their ecosystem (mostly better for Apple and worse for everyone else). The surprise is that entrepreneurs still ignore this enormous risk.